Allowing our minds to focus on making something of value, creativity and use is therapeutic. It provides for separation from tedious concerns, for time to process the anxieties of normal day to day work, duties, and life. Building small wood projects is one of many therapeutic activities. It is a simple and inexpensive way to manage stress while serendipitously producing fun little products. Design the project. Determine what it is you would like to build. Sketch out a rough thumbnail representation of the project. From the thumbnail sketch, determine the materials you will need along with their respective quantities. Build the project from start to finish inside your head. Draw out the project more explicitly. Expand on the original idea. Add in the measurements, details and procedural notes. Gather the building material and tools. Cut the rough lumber to approximate sizes and shapes. Cut all the joint details. Sand the individual pieces to an 80-, 120- and 220-grit smoothness with an orbital sander. Assemble the project. Glue and clamp all of the joints; use finish nails and screws sparingly. Fill gaps and nail holes with wood filler to match the wood species being used. Attach any aesthetic pieces and finish sanding the project by hand with 220-grit sandpaper. Stain, paint or finish in accordance with the original idea. Be willing to adapt. 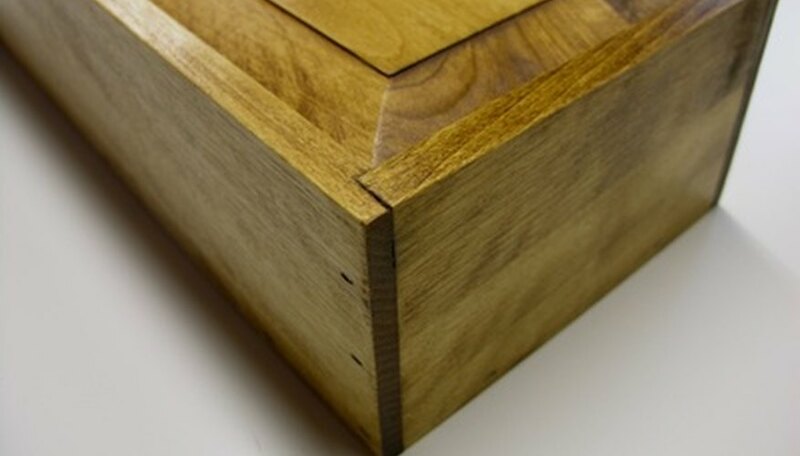 Allow the project to evolve; some of your favorite small wood projects may turn out far different from the original idea or design.